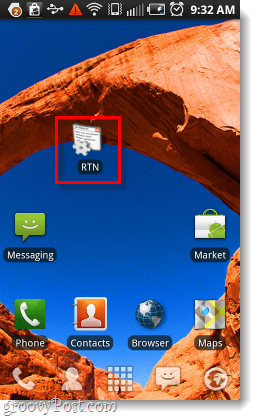 Previously we showed you how to pull up RTN information on your Android phone using a dial code. Unfortunately, the process didn’t work for everyone and it seems only a handful of phones can use that method. So this time around we have a solid method that doesn’t use a phone code. 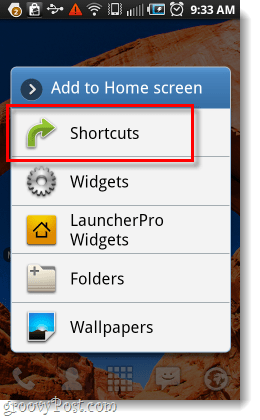 Using a custom launcher, we’ll create a shortcut on the homescreen that will open up any hidden menu on your Android phone. Before we get started, you’ll need to make sure you have an app installed that will add the “activities” option to your shortcut creator. 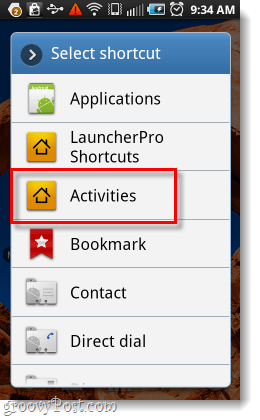 ADW Launcher and others also work, but the steps below are shown using Launcher Pro. Go to your homescreen (using a custom launcher) and Long-Press on an empty spot. The “Add to Home screen” menu should appear; Tap Shortcuts. Tap the hiddenmenu entry and then below you’ll see a list of all hidden menus on your phone. From here you can access any one of them. *Note this may be called something else if you are using a launcher other than Launcher Pro. Now you have a shortcut to one of your hidden menus on your homescreen, and you can keep adding them to your hearts content. 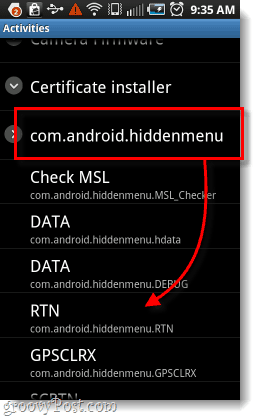 I first chose the RTN hidden menu because several people were wondering how to access it on phones that don’t support the # codes after reading our previous article. I hope this helps you with your Android phone, and feel free to post a comment below with your results! Thats great if you are running certain roms. I’ve got Launcher Pro, and CyanogenMod v7.03 on HTC Desire and I don’t have an option for com.android.hiddenmenu. So either a) I don’t have hidden menus b) your method still doesn’t work for everyone. I did the same thing, and I didn’t have an option for com.android.hiddenmenu…now what? Found the list of hiddenmenus through LauncherPro as described above…do you know which one allows you to disable the full battery notification?! Has anyone found a solution for the G2? This method doesn’t work and neither does the number one. I have searched everywhere but no go. I really want to know if Asurion screwed me again by sending me a refurbished phone. ##RTN# works only on CDMA phones. That means any phones using GSM (SIM Card) will not work. In U.S., only Sprint, Verizon (3G only not 4G LTE), MetroPCS (also 3G only not 4G LTE), Boost Mobile, Virgin Mobile, Alltel, U.S. Cellular, and some other small MVNO’s (Mobile Virtual Network Operators) use CDMA. However, for those who uses MSL (Master Subsidy Lock) activation methods (despite those carriers using default ‘000000’ MSL i.e. Verizon) uses ##RTN#. That means anyone using Sprint line (Sprint, Boost Mobile, Virgin Mobile) can only uses ##RTN#. I hope this clear any confusions. 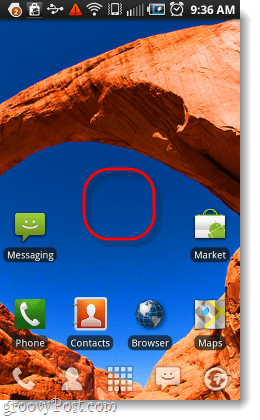 Hi, I installed “Launcherpro” – but on my Samsung Galaxy S-2, I cannot find any “hidden” menu – any clues? Worked exactly as explained on froyo Thanks! I too have a galaxy s II skyrocket from Asurion and need to know if they’re screwing me over because. of my experience dealing with them plus all of the bad reviews I’ve read. 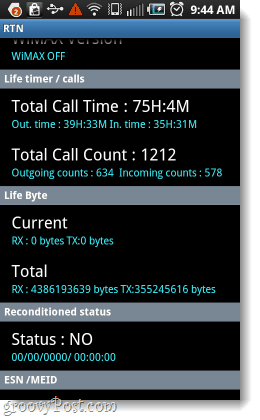 How do I check the RTN on an HTC ONE S? the above process of finding the refurbished status of samsung galaxy core i8262 did not worked properly.please tell me how to find the refurbished status of the new samsung galaxy core that runs on android JellyBean.in Sri Lanka here we use only GSM mobile phones.please answer soon.thanks. I just bought an HTC one m7 and i feel like its been refurbished, i followed your method but my phone has no hidden menus is there any other way?? It shows me That This File vouod not be launched!!! does the #786 work on htc desire 816 .. anyone knows ? Due to some problem the HTC service centre refuse to repair free of cost and returned the phone.I approached another centre they said that the motherboard has been changed.How do I verify the board of ny HTC desire 816.plz help me. Its fake.not work don’t do this.now i can not uninstall adw launcher.its harm your mobile. Cool ! I’ll try it later ! Go to Google play and find the Launcher Pro app and it should give you option to uninstall. Worked for me. An error has occured when i clicked on activities, its says “unfortunately launcher pro has stopped working”. Plz assist. There is no hidden menu in list of activities . .. i have Samsung galaxy note2 and both method did not work either dieler or louncher… tell me some solution . ..? I have a Samsung Galaxy S2. I used Launcher Pro from my Google Play Store and followed the directions, but found no hidden menus. PLEASE HELP ME NOW as how do I get back my Home screens with folders & apps? I only have Messaging, Play Store, Web, and Maps. I had many folders and separate apps on my Home screens! I also have white icons of dialer, contacts, Applications, Messaging, arrows going in opposite directions in a circle, and 10 +. Please, how can I return to my home screens that I had organized with separate apps and apps in folders? Do you think the retailer or shopkeeper will give you the chance to test/check all these stuff. better to tell us method as soon as we unboxed the handset, we can realized that this is a refurbished phone. how to check motorola droid turbo refurbished and korean or not?? please tell anyone. My LauncherPro Application “unfortunately stops” everytime I click on the “activities” button step. Any idea why?